We can’t accept that God is the ‘maker’ of the wrongs we see all around us. 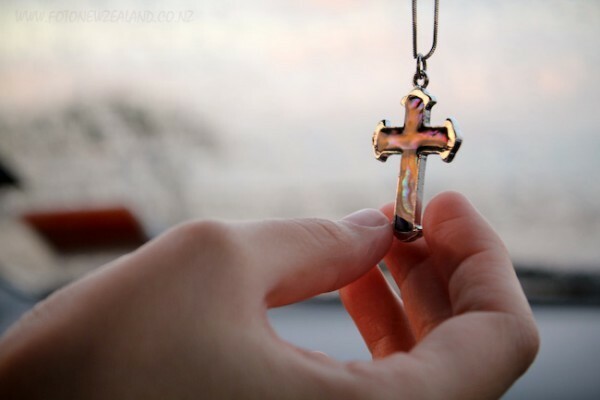 It’s not possible that God created corruption, pain, sickness and, finally, death. But then, how do they exist? There are a variety of explanations and, of course, the Church has expressed its own theological view on the issue. This is a view which is ‘embodied’ when there’s faith and not so much in rationality, arguments and proofs. In chapter 3 of Genesis, the tragic moments of what we call the Fall are described. People ‘rebelled’ and sought to become gods themselves, ‘an illusion of autonomy’. Instead they achieved rupture, division, separation and solitude. They ruptured their relationship with God, other people and the rest of creation. Confusion reigned, as is clear from Babel (Gen. 11, 1-9). 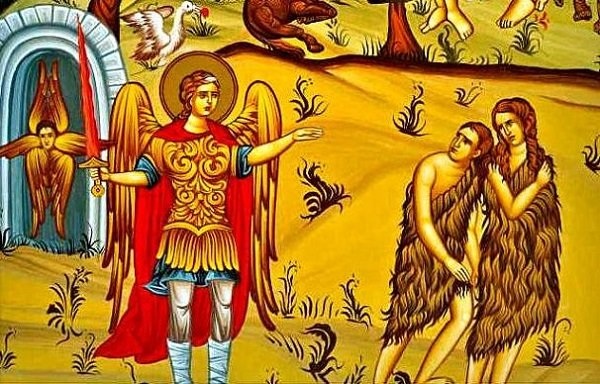 It became an effort to produce the bread they ate (Gen. 3, 19) and the earth itself also took its revenge, in its own way, with ‘thorns and thistles’, which pricked them and made them bleed (Gen. 3, 18). Because of them, the whole of creation is now subject to decay, not because it has any blame, but because that’s what the people wanted who thus subjected it (Rom. 8, 20). We should note here, that the person who sinned is actually each and every one of us, our common human nature. But Saint Paul gives us the prospect of hope, which, again, is based on the same chapter of Genesis. God was unable to look upon His creation in a state of decay. Hope didn’t die (Rom. 8, 20). The head of the serpent will be crushed (Gen. 3, 15) and, for those who desire them, bright days will return. Humankind will be reborn from its ashes. The path to the tree of life will be reopened (Prov. 3, 18). For those before the Incarnation of Christ, this will happen through observance of the Law, while for those reborn ‘in Christ’ it will occur through true faith in Him. They will be the continuation of the sacred remnant of the Old Testament. He came and took upon Himself all our burdens, He raised His own people onto His shoulders and in His wounds we have found our own healing (Is. 53, 5). He came in the form of a servant, ‘He became a worm, not a man’ (Ps. 21, 7). He was dishonoured, mocked, condemned and yet became the new progenitor of the human race, a spring of life with cleansing water. He remains alone, but unites everyone. He sets to rights, heals, sanctifies, and gives meaning to the human perspective from the outset. He labours at humility and exaltation (Phil. 2, 8-11; Heb. 1, 3) and does so with discretion, without noise or fanfare. He entered the kingdom of death and destroyed it, so that ‘Hell was embittered’. It ‘laments aloud’. And while all this sounds important, as, indeed, it is, it seems not to be actually the case, since pain, sickness and death continue to exist, to torment and torture people. How is this so? The antidote which ‘prevents death’ now exists. Death really doesn’t exist when we believe in Christ and His Resurrection. We have the opportunity to become united to our immortal God. Immortality’s a fact for such as us, and we have the saints as living examples, very close to us. And here we have evidence that all this isn’t just theory, but actual truth experienced in our own days. I once happened to experience such a sign of immortality, years ago at the Hospital for Infectious Diseases. It was a Vigil and at the centre a blessed man of God, Father Evmenios Saridakis [it was the eve of his funeral]. There were a lot of people there but no bitterness. Human sadness certainly, among his close colleagues and spiritual children, but the dominant feeling was something else: divine enthusiasm, joyful sadness. This service, in the presence of the relics of the saintly elder, exuded the Resurrection. It made you realize what God wanted with us and how He wanted us: co-heirs and kings. This is what we felt, the everlasting joy over the fact that nothing ends with death, but rather that everything then begins. 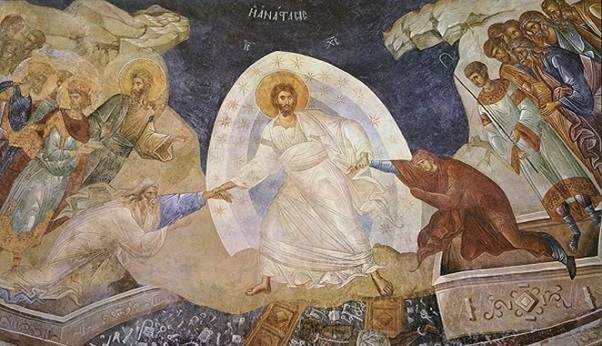 Resurrection, awakening, immortality, joy, hope, all mixed together among those present that evening. Nature itself is reconciled to us and brought into balance by the presence of the saints. It gives its fruits as a participant in the festival of incorruption, of renewed life. The smaller flowers open and the larger ones praise God with the rustling of their leaves. Stars sparkle in the sky and the cool breeze refreshes. The path in this life is one-way and the paths are all alike. So we follow in His footsteps. We seek His Person and He’s already waiting for us to want a relationship and His companionship. Christ continues to bleed for everyone and revives us with His blood. He strengthens us with the blood He is continuously offering. He invites us to walk with Him. May we have thoughts such as these during our progress towards Easter this year. May there be a genuine, generous desire and an effort to encounter Him. May our lips become red from His own blood. This may not be a declaration of sanctity, but it is an indication of voluntary submission to His will, of repentance and of a desire for the relationship of a child with its Father.